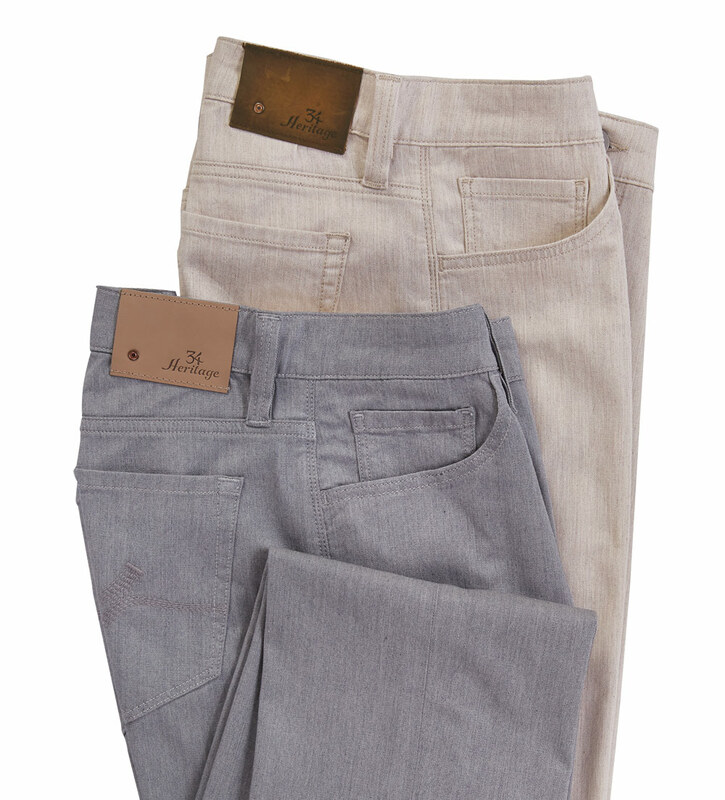 Lightweight, cashmere-soft, stretch blend for exceptional comfort. Relaxed fit, comfort rise, five-pocket styling. 7.5 oz. 62% modal/35% cotton/3% elastane. Machine wash. Imported.